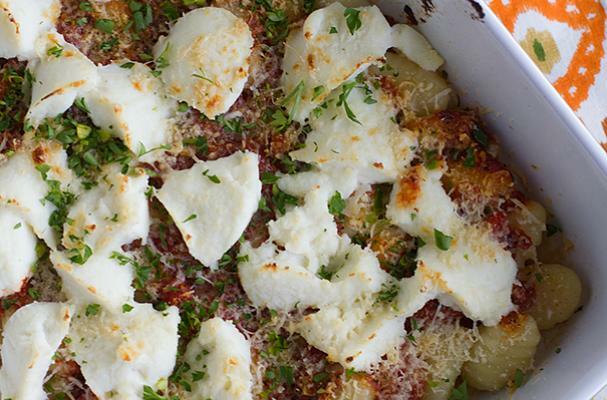 Baked gnocchi with ricotta from Taste and Tell is a quick and easy family style meal. Gnocchi, Italian potato dumplings, are topped with tomato sauce, fresh ricotta cheese and a heavy sprinkling of parmesan. While this dish is originally meatless, you can certainly use a bolognese sauce. Baked gnocchi with ricotta can be on the table and ready to eat in less than 30 minutes. For full recipe instructions, click here.